*Do you have your Grandma's old machine? *Would you like to bring it back to working condition? 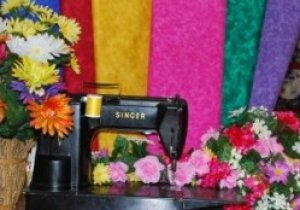 *Is your sewing machine not sounding right? *Are you stitches uneven, loose, tight or knotted? *Is your machine making weird noises? *Have you had your machine in storage for a time. Bring it in & let us clean, oil & adjust it. We will do our best to restore it to working condition. Sometimes, it just needs the lint & dust blown out, or the needle changed, re-threaded correctly. How about just a few pointers on threading or cleaning your machine. Watch our Free video on threads, needles & tension by Dr. Bob from Superior Threads. Bring your machine to us with confidence that you will get the best service possible. Standard prices for cleaning & oiling start at $40.00. If your machine is in need of anything else, we will call first, let you know what it needs & the price. We do not do warranty work. If same day service is needed, please call ahead to schedule.